Saturday, June 13, 2015 has been desiginated as the 40th anniversary of the existence of our club. The club was organized in the summer of 1975 with 13 members and applied for AMA club status. AMA accepted us and assigned #1307 as our AMA club #. This will be a family day, so come and enjoy a club sponsored BBQ. Brisket and potato salad will be furnished by club. We are asking members to bring side dishes of their choice. Here are some suggestions; beans,salads, fruit, deviled eggs, bread, rolls and desserts. We will serve lunch between 12:30 and 1:00 pm. Bring your chairs and shade for your convenience. Picture display showing the evolution of our club as members have donated time, money and effort up till present time. Candy drop from RC plane for children. Free floating ballon bust, try your luck. Pictures taken of new 40th year banner with members holding it. 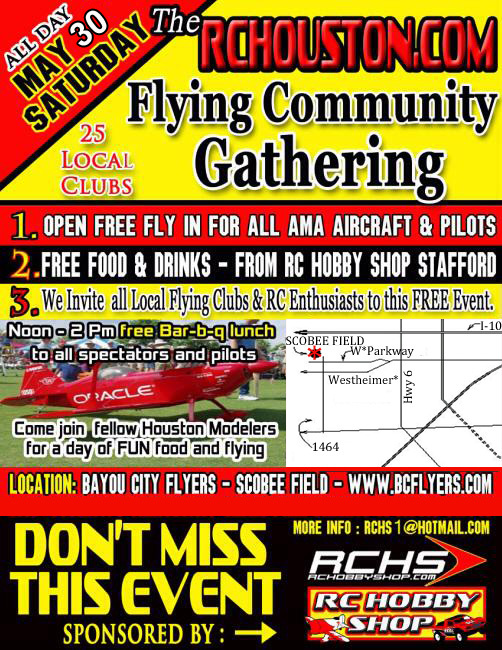 Possible fly-by from Bruce Bohannon with his full scale airplane..
Well our next meeting is Saturday, May 23. Come to the field and have breakfast with the gang starting at 7:00 AM. Then enjoy the meeting starting at 9:00 AM. Then fly and hang with all your friends. Make some new friends also. 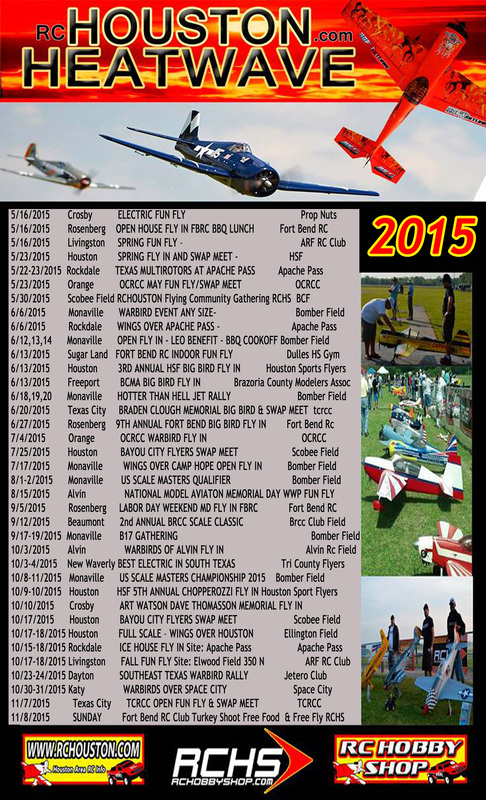 Come join us at the airfield for the April Membership Meeting. Breakfast from 7:00 AM until 9:00 AM. Meeting starts at 9:00 AM. Come eat, greet and fly. Open to guests. So come on down. Our March – April Newsletter has been posted. You can find it on our Newsletter Page. 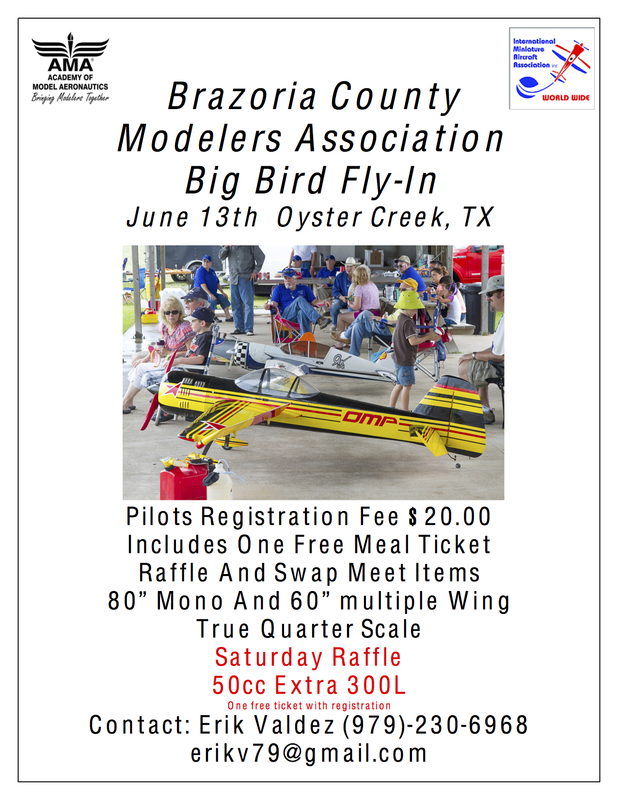 Our 25th annual Big Bird Fly-In and 11th Annual Swap Meet is coming up on Saturday April 4.